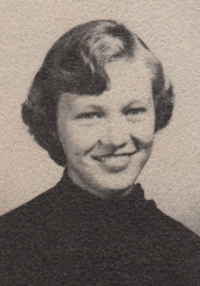 Obituary – Matthews, Margaret Marie (Beier) « Perry High School Alumni Association, Inc.
﻿Library Staff 51-52; Office Staff 52-53; Treasurer of Junior Class 52-53; Football Queen Attendant 52-53; Teen Town Council 53-54; Perryscope Staff 53-54; Class Assemblies 51-54. 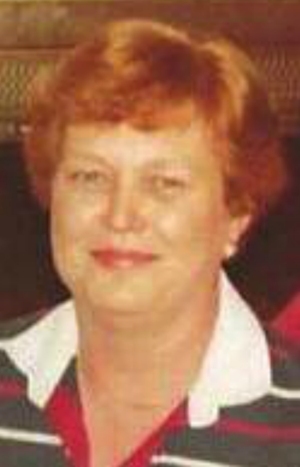 Margaret Marie (Beier) Matthews, 77, resident of New Orleans, LA, passed away on December 24, 2013 at Our Lady of Wisdom Care Facility due to complications from Alzheimers. Services have been entrusted in the care of Palmer Marler Funeral Home of Perry. Funeral services will be held on Monday, December 30, 2013 at 3:00 pm at the Zion Lutheran Church, five miles east of Perry, Oklahoma, with Pastor Dan Thimell officiating. Interment will follow at the Grace Hill Cemetery in Perry, Oklahoma. Public visitation will be held on Sunday, December 29, 2013 from 1:00pm to 8:00pm with the family greeting friends from 6:00pm to 8:00pm. Margaret was born on May 28, 1936 in Ponca City, OK to Albert and Minnie (Adler) Beier. She was raised in Perry, OK and graduated from Perry High School in May 1954. On August 27, 1954 she married Lowell Eugene “Gene” Matthews at the Zion Lutheran Church in Perry, OK. They celebrated 54 years together before he preceded her in death in 2008. She had many careers during her remarkable life including: wife, mother, secretary at Cato Oil and Grease Company in Oklahoma City, Assistant Real Estate Agent at Hart Realty and Coldwell Banker in New Orleans. She volunteered her efforts to many causes over the years including PTA Organization, den mother in scouting activities, cook and counselor at Camp Country Lad, also giving of her time to St. Michael’s Special School and Evergreen Presbyterian Ministries in several capacities. She lived in many wonderful places over her life time: New Orleans, LA, Pensacola, FL, and again in Perry, OK during her and Gene’s retirement. Margaret is survived by her children, Mark Eugene Matthews of Gretna, LA, Bruce Allen Matthews of Metairie, LA, Roger Wayne Matthews and wife, Deana of Covington, LA, Keith Edward Matthews of Natchitoches, LA; grandchildren, Christopher Wayne Matthews and wife, Nicole of New Orleans, LA, Nicholas Levi Matthews of Goshen, IN, Kayley Nicole Matthews of Gretna, LA; great grandchildren, Owen Robert, Lilan Lynn and Jacob Eugene Matthews, all of New Orleans, LA; and two sisters-in-law, Betty Gunn of Perry, OK and Mercedes Matthews of Broken Arrow, OK.
She is preceded in death by her husband, Lowell Eugene “Gene” Matthews; parents, Albert and Minnie (Adler) Beier. In lieu of flowers, donations can be made in her name to the Alzheimer Association of Oklahoma in care of Palmer Marler Funeral Home of Perry, 203 East Fir, Perry, OK 73077.